I come from a little town in the North-East of England called Hartlepool and have spent most of my adult life serving as a Physical Training Instructor in the Royal Navy. My CrossFit journey, like most, started with an introduction from a friend. I was hanging out in our gymnasium office one morning when he came in and asked if anybody was looking to workout at lunch time? I was thinking “cool some chest/bi’s will do nicely” so I agreed… So I walk in the gym and notice this huge yellow rig sitting in the middle of the room with olympic rings hanging from it, I thought ok lets go with it. First of all, the coach explained that this was gonna be tough and not to stop and rest unless you really needed too, now for a PTI its always about finishing first so as you can imagine the rest of us started to get excited and pumped up. What followed, I would later learn was “Elizabeth” a CrossFit benchmark WOD of 21-15-9 Cleans & Ring dips for time… This was my intro to CrossFit and from that day I was hooked!! I started off my working life as a HGV mechanic. After working in the trade for 10 years, I realised that health and fitness was my vocation. Being a dedicated fitness enthusiast for many years, I enjoyed researching and trialing the latest fitness advances. 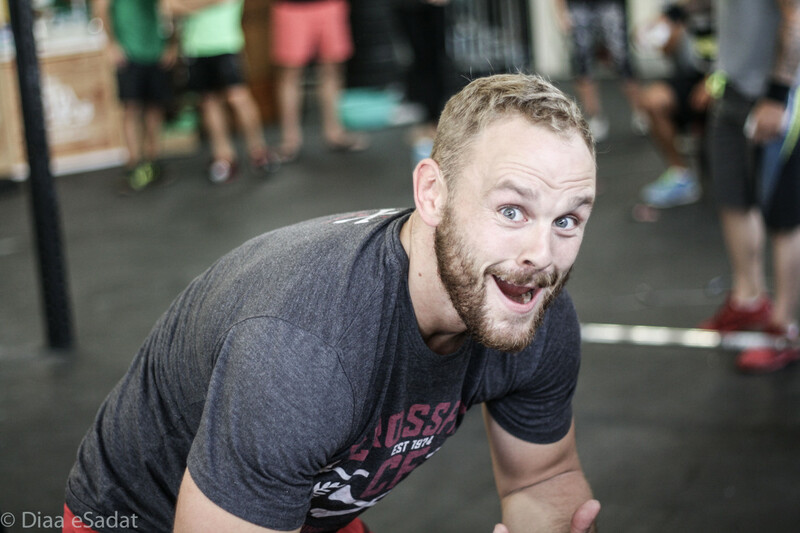 I was first introduced to CrossFit around four years ago. The training methods helped me to progress within my beloved sport, rugby. 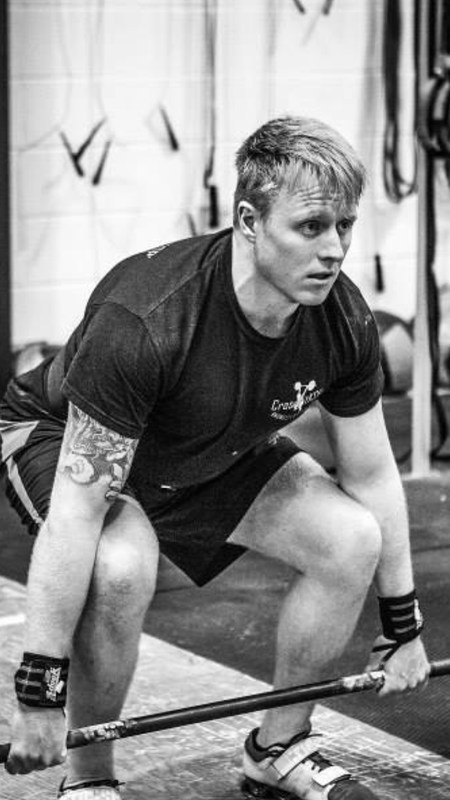 As the CrossFit trend was just taking off in the UK, there was no box in my local area, so it was in fields and local gyms that I started my CrossFit life. A box finally opened, I joined and loved every second! It soon became my place of work, as it seemed like natural progression for me to become a fitness instructor. Finally, I was doing something that I loved and was passionate about for a living. I was able to help others whilst learning about the sport, as well as studying to attain my various qualifications. I find the opportunity to meet and help so many people reach their personal goals very humbling. My first workout was ‘Fight Gone Bad’… I still love that workout now! 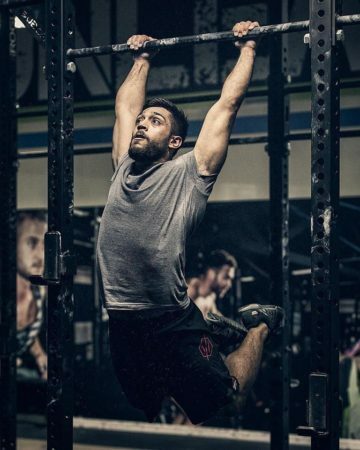 For me the best thing about CrossFit is that, as a coach or athlete you can always be better, there is always room for improvement and progression. This is something that drives and motivates me, as well as the CrossFit community. I moved from the UK to Qatar with my wife in August 2014 and CrossFit Oryx has been like a second home to us. There is such a welcoming atmosphere and a strong sense of community between the members and coaches. It is something that we both feel truly fortunate to be apart of. Passionate and enthusiastic about fitness and health, aims to inspire people through motivation and leading by example. She is also a Beach Body Team Coach, Kite surfing and voleball Coach. Her reaching strengths are gymnastics, Olympic lifting and holistic nutrition. 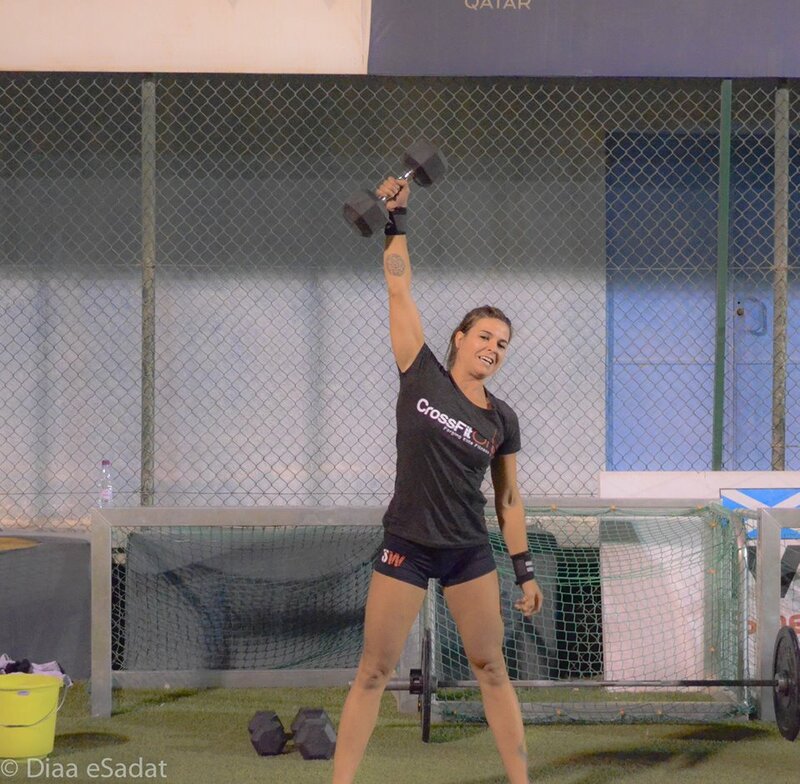 As a CrossFit athlete her aim is to compete in CrossFit Games as Master Qualification. 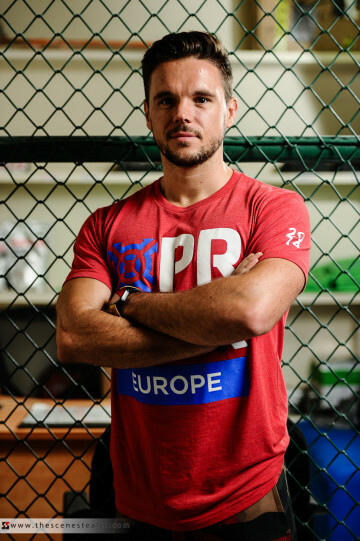 As an Engineer I always seek and analyze, I was always looking for new and better fitness perspectives, this is how I found CrossFit, first time I stepped into a CrossFit box I knew this is what I want I found myself, I was hooked by the combination of Metabolic Conditioning Gymnastics and Olympic lifting, and ever since crossfit and weightlifting became my passion, then my mission became to change other people’s life through it, after 6 month of crossfit I got my L1, after a while my Personal Training Certificate, worked with many individuals personally and inside the gym to pursue their goals and achieve it. Crossfit Oryx had a huge impact on my journey of and it’s where I feel home with my friends and family. If you are around me!! Be careful I will push you to your limits.